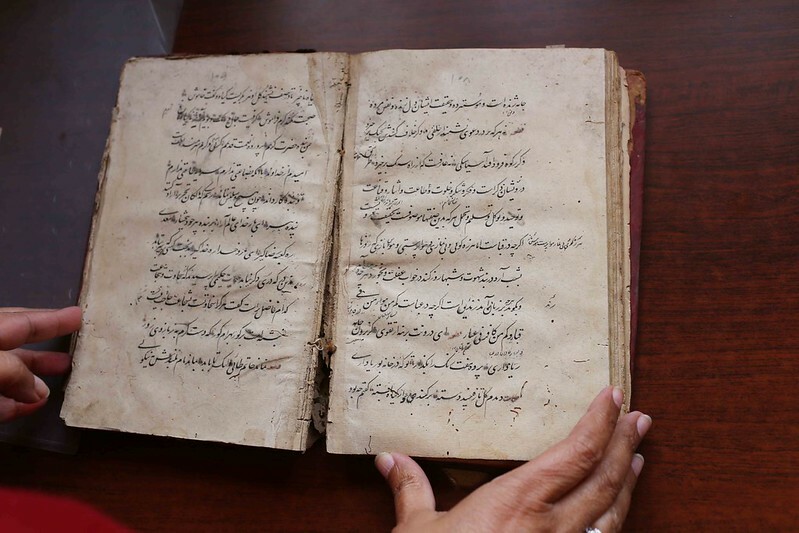 Can you dream of touching with your own hand Ghalib’s handwritten poem? 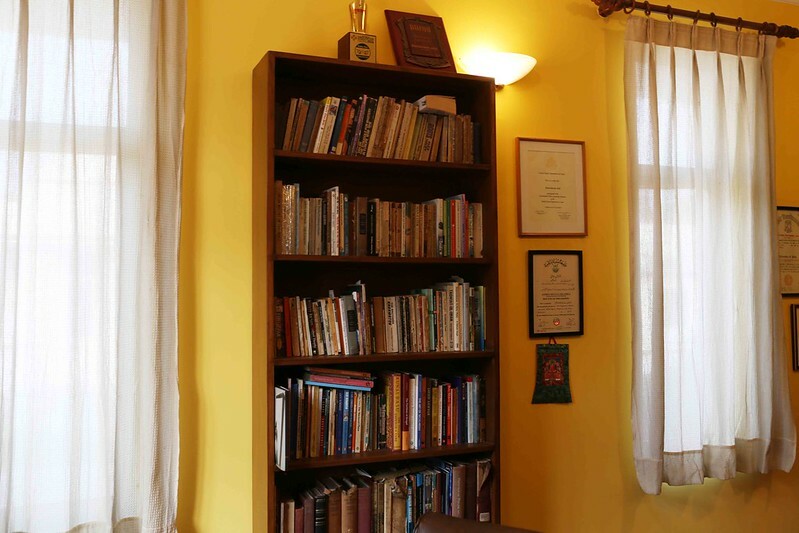 Well, just visit author Rakhshanda Jalil’s private library. One freezing evening, Ms Jalil unfolds this priceless object on her writing table. 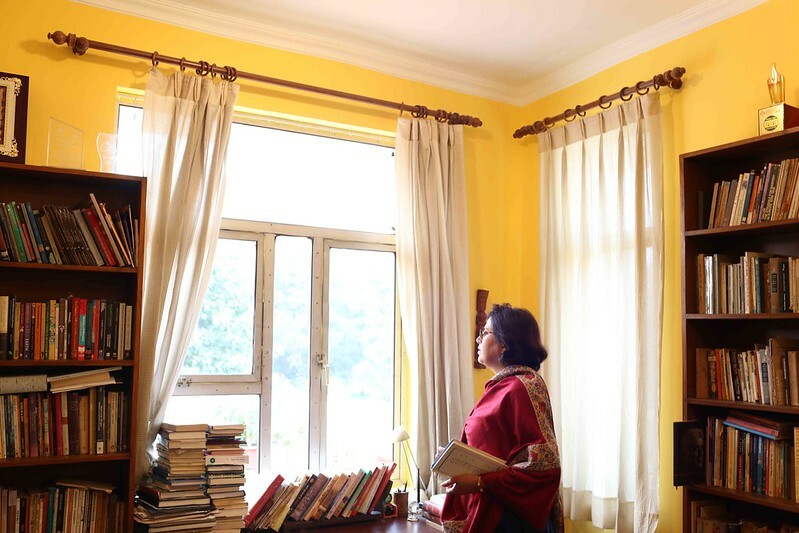 The Delhi Walla is at her study. 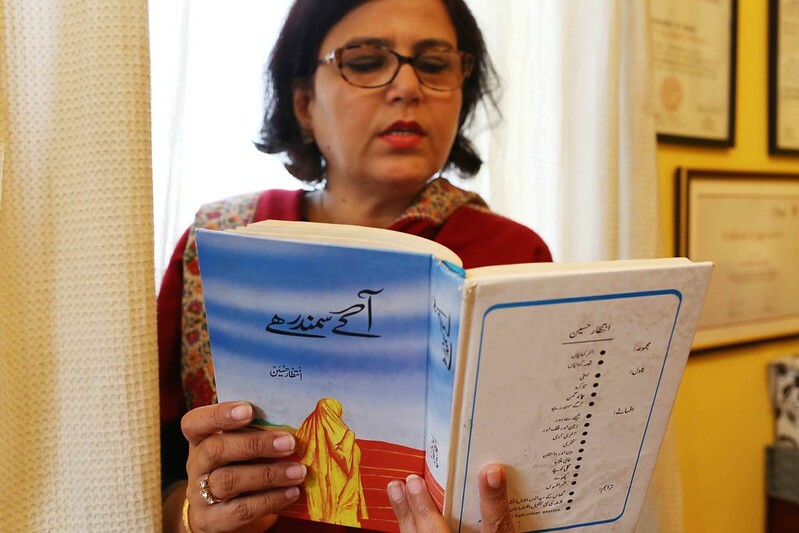 The small room is filled with hundreds of books in Urdu — Ms Jalil has not only authored several volumes of fiction and non-fiction, but has also translated many great works of Urdu into English. 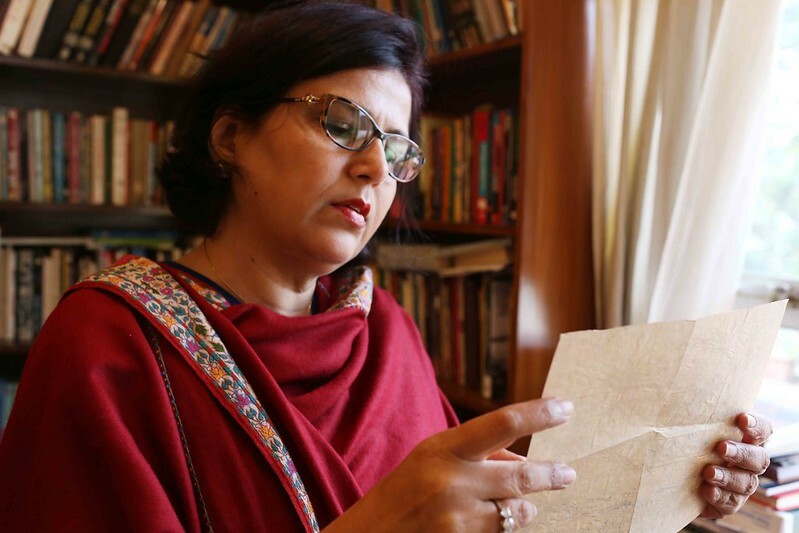 Nervously holding the delicate sheet of paper on which the great Ghalib wrote with his own hand, Ms Jalil tells me that this piece of paper had passed down to her as a family heirloom. 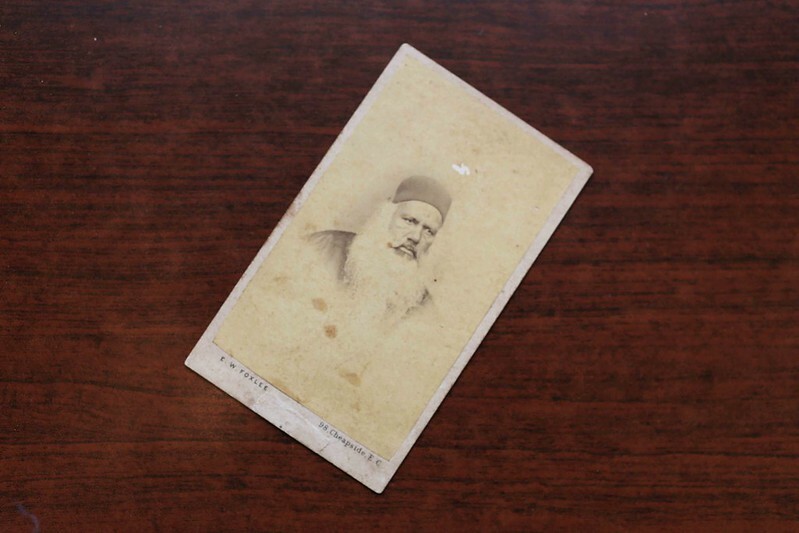 It actually belonged to her great-great grandfather—Maulvi Sattar Bakhsh Qadri, who lived in the town of Badayun in a house evocatively called Sheesh Mahal, the palace of mirrors. 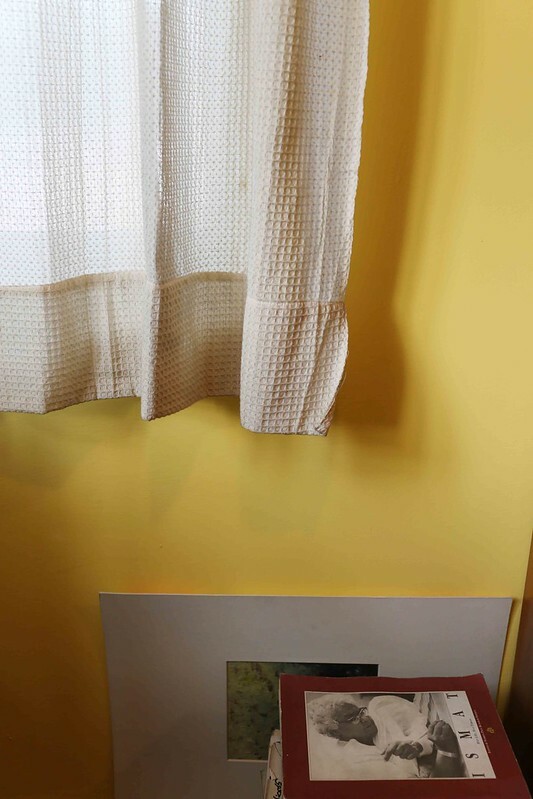 This fragile sheet was one of the many precious documents related to Delhi’s greatest poet that belonged to Ms Jalil’s family. Her mother gave away most of them to the National Archives of India. “It is a sheer chance that this paper was left behind,” she says. Incidentally, Ms Jalil’s mother, Mehjabeen, retired as a much-loved librarian in Delhi Public School (Mathura Road branch). 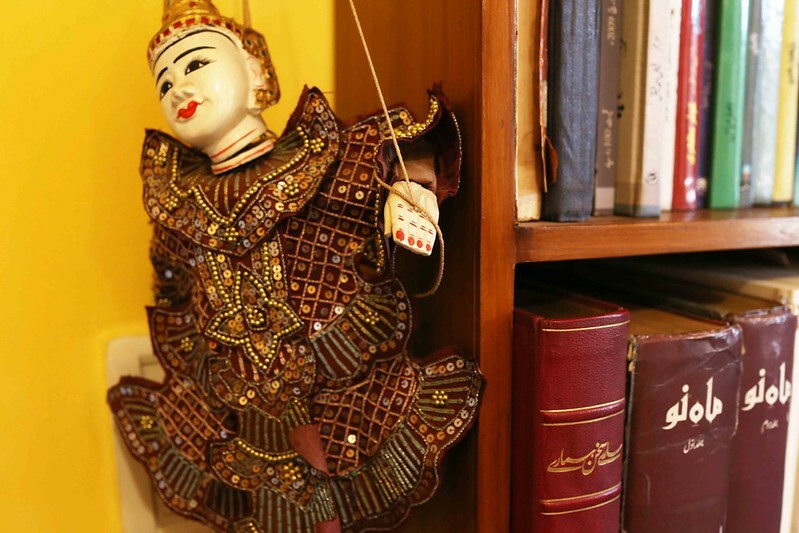 Like all impressive private libraries, Ms Jalil’s collection is a work of generations. 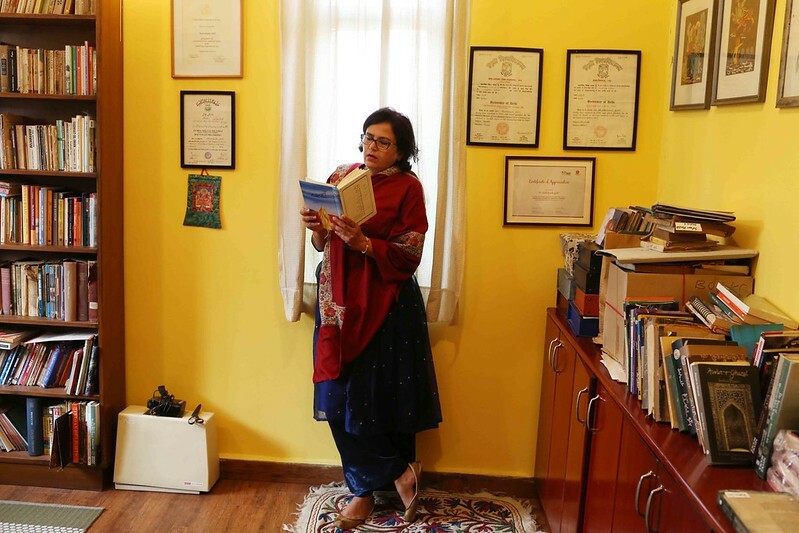 Many of the books she acquired herself, of course — she is a faithful customer at Makhtaba Jamia, the bookshop of the Jamia Millia Islamia University in south Delhi. Many books are also sent to her (for free!) 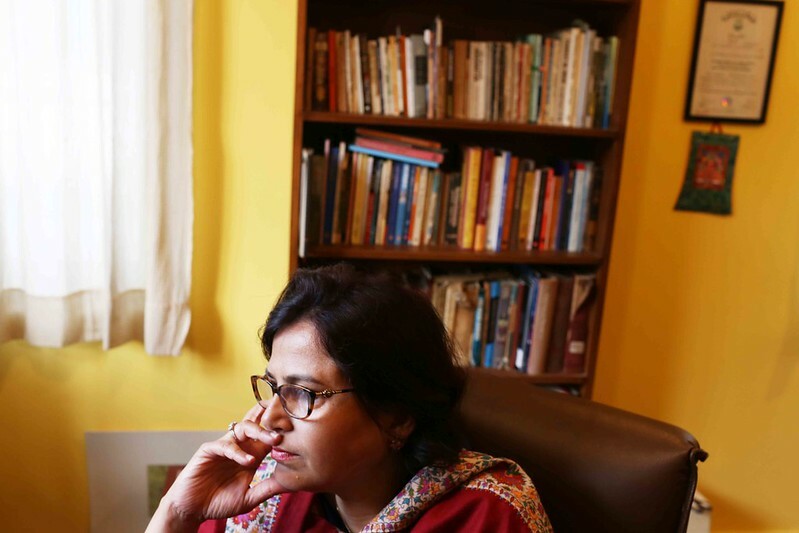 by Urdu language publishers—perhaps because she is a seasoned reviewer or maybe because she curates a monthly Urdu literary event in the city. Then there are some precious old books that came down to her from her Nana—her mother’s father. 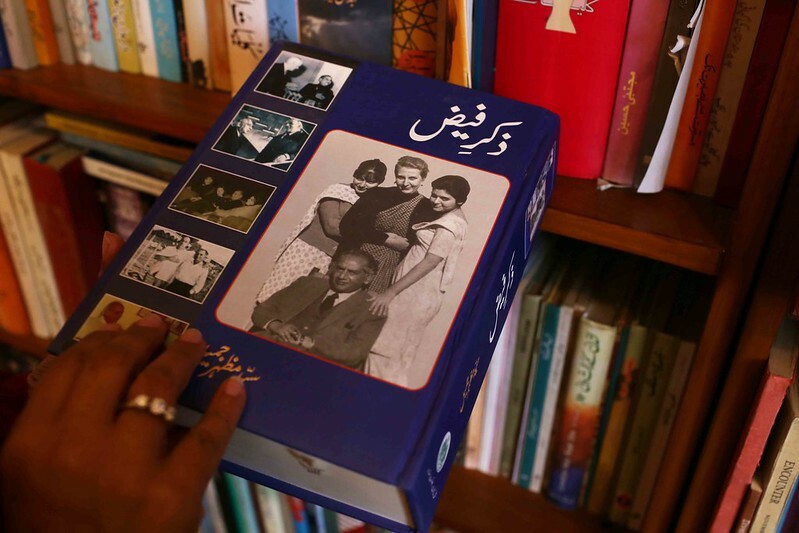 Ale Ahmad Suroor, a professor of Urdu, was an influential figure in the world of literature. A poet as well as a critic, he lies buried in the university town of Aligarh. Ms Jalil has two daughters. 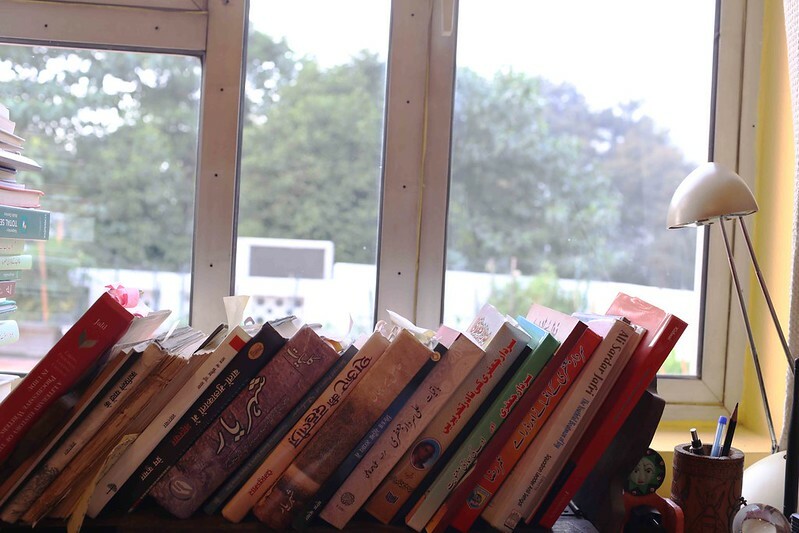 Unlike most people of their generation, both the young women are able to read Urdu. Does that mean her precious possessions can be safely passed down to Aaliya and Insha? While leaving, I notice a thick red book lying on one side of Ms Jalil’s table. 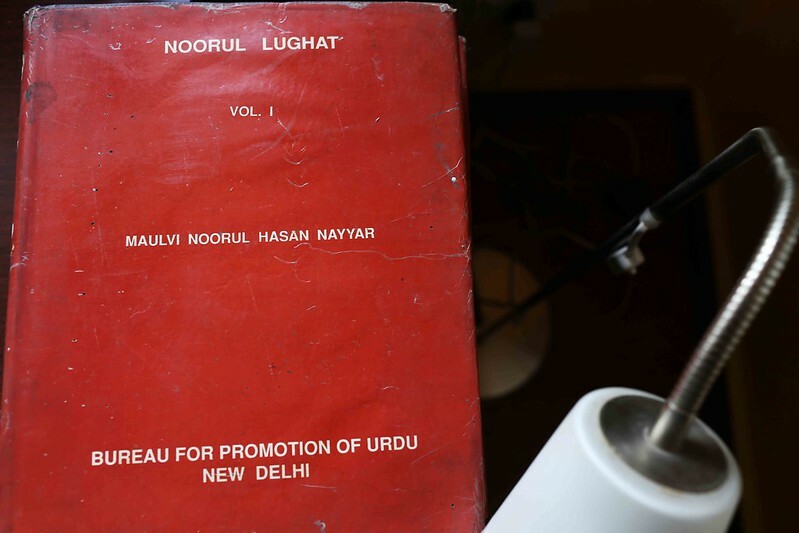 Titled Noorul Lughat, it is published by ‘Bureau for Promotion of Urdu, New Delhi’. 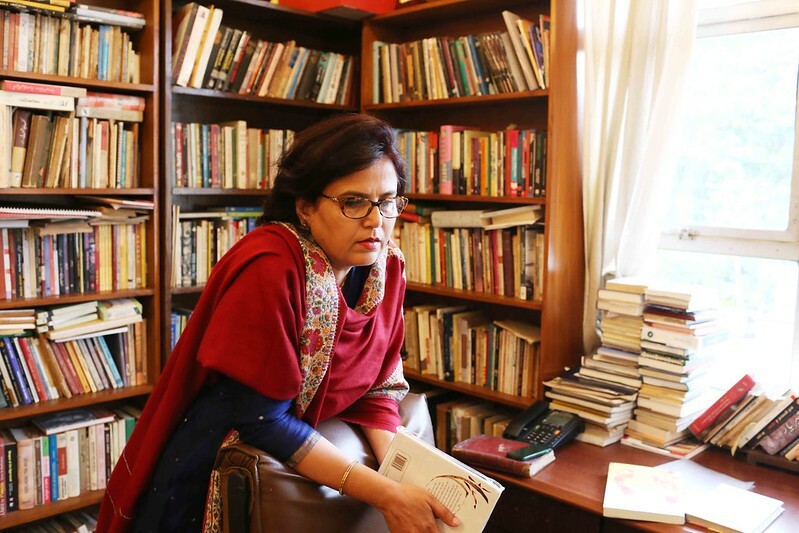 Ms Jalil had actually invited me to reveal her ambitious plans for a day-long Urdu festival at the Oxford Bookstore in Connaught Place. 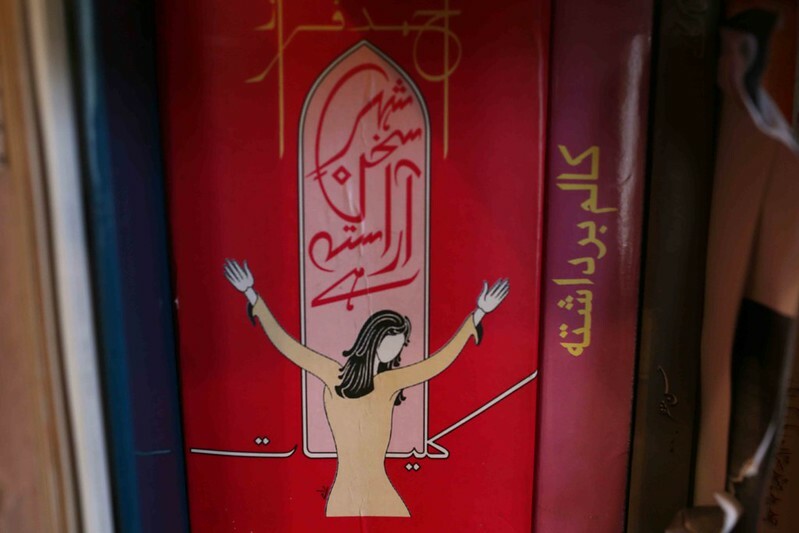 I, however, wanted to hear her while being surrounded by her private collection of Urdu books. 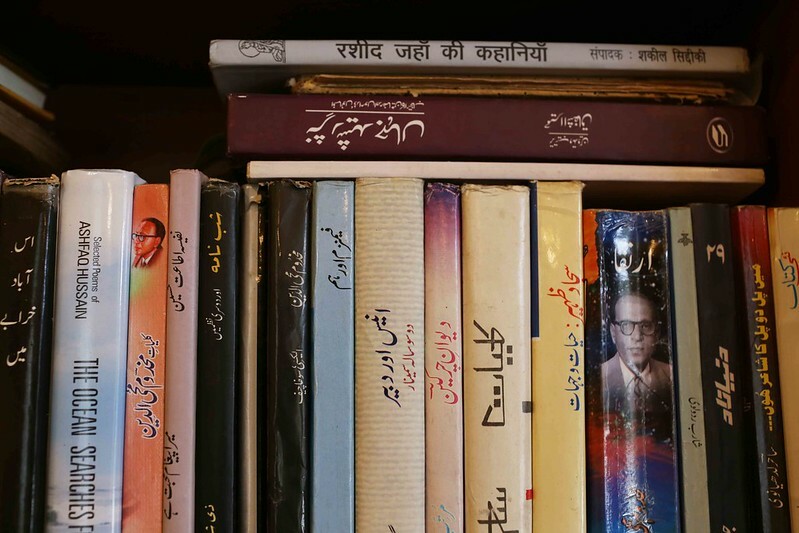 So, either scroll down straight to look at Ms Jalil’s Urdu library, or first read the stuff immediately below to know more about the promised festival. Mm, gonna try with a little help from my friends…. This Beatles’ song was written for me and has been my mantra in running Hindustani Awaaz since 2003. I have no resources invested in it–except ingenuity and persistence. I don’t have deep pockets but I do have ideas, and more importantly friends who support my desire to make Urdu accessible. I also seem to have the goodwill of a growing band of Urdu enthusiasts, and it is to them I dedicate Afreen, Afreen — a day-long celebration of Urdu on Saturday, 4 February, 2017 at the Oxford Bookstore, N 81 Connaught Place, New Delhi. Introduction by Rakhshanda Jalil, founder of Hindustani Awaaz. Readings by Danish Iqbal and Salima Raza. The Shehenshah of Humour, Dilawar Figar spotted the comic and ironic in the everyday and the contemporary. Urdu humour relies as much upon sounds as the sights it describes as well the vagaries of the human condition–a peculiar quality faithfully conveyed by the inimitable theatrical duo of Danish Iqbal and Salima Raza–both veterans of the stage. Urdu poetry’s most iconoclastic voice, Jaun Elia has achieved a near-cult status among newer and younger audiences. His cynical, sarcastic, melancholy yet deeply individualistic and sharply insightful poetry is brought to life by Saif Mahmud’s passionate reading. Recitations by Raza Haider, Sana Rashid. There has always been a tradition of devotional poetry in Urdu and some of the finest poets–as well as scores of lesser-known ones — have written songs in praise of Allah (hamd), the prophet (naat), Ali (manqabat), a recounting of the events of the Battle of Karbala (marsiya) and elegies (soz) lamenting the death of the small and beleaguered group led by Hussain, the grandson of the Prophet. Poetry meets piety in this selection of readings and recitations. Fouzia Dastango reads from Tilism-e Hoshruba. Manu Sikandar Dhingra reads from Krishan Chandar’s Kabootar ke Khat. Fazal Rashid reads from Naiyar Masud’s Seepiyan. This session encapsulates the journey from the fantastic world of the dastan, fasana and qissa to the socially engaged literature of Krishan Chandar and thence onwards to the abstract and intensely personal world of the modernists. 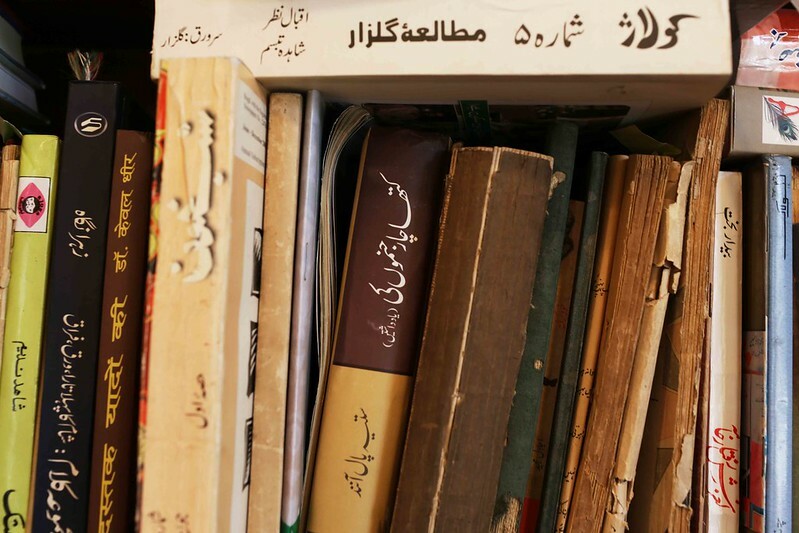 In one hour we hope to introduce you to three distinct ‘flavours’ in Urdu prose. Saif Mahmud reads from Parveen Shakir and Mustafa Zaidi. Pervaiz Alam reads from Fahmida Riaz and Amjad Islam. Rakhshanda Jalil reads from Shahryar. Sohail Hashmi recites Noman Shauq and Ekraam Khawar. Chinna Dua recites Faiz Ahmad Faiz and Habib Jalib. Gauhar Raza recites his own poetry. Dastangoi by Fouzia Dastango and Fazal Rashid. Azhar Iqbal, Kunwar Ranjeet Chauhan, Vishal Bagh. Vote of Thanks: Neeta Sreedharan, Oxford Bookstore. 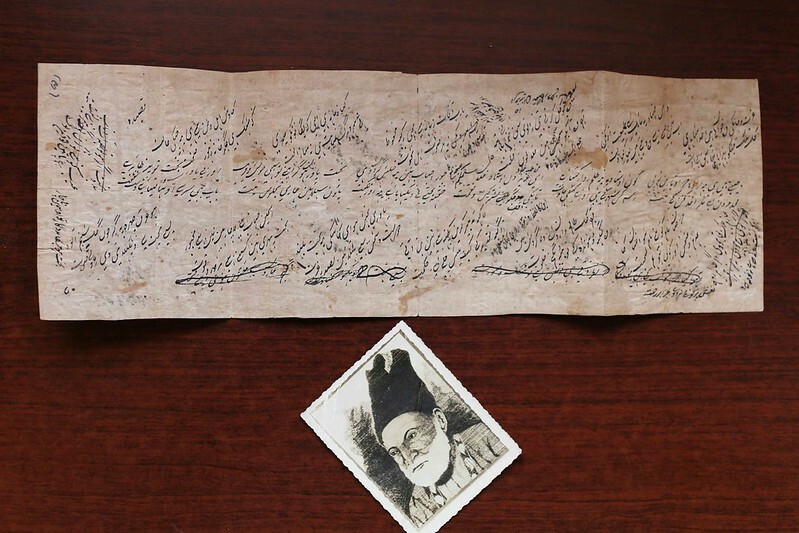 That’s a beautiful specimen of Ghalib’s handwriting; Ms. Jalil is so lucky to have it in her possession. 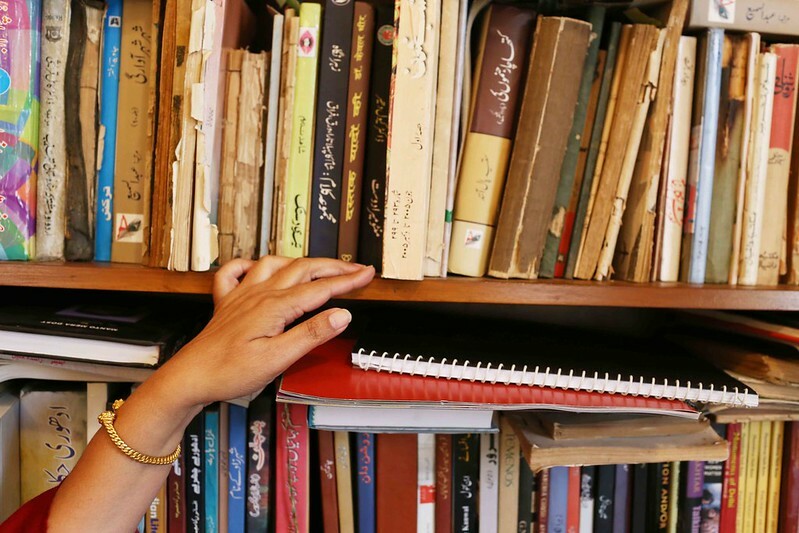 It’s great that she and others like her are willing to make Urdu literature accessible again. What a lovely lovely woman! Never seen a woman more graceful and elegant. Is this sir syed in pic no 16? a great read. I wanted to enquire about the event on 4th feb. is it open to all? Yes, Zoya, open to all.